This unit, in my tech class, we were taught how to create an animation in which the viewer had the choice between two options, each of which would lead the animation’s plot in two completely different directions. As a result of having the choice between a moral decision that a character had to make, we were able to see the consequences our decisions have on life. Throughout the long process of creating this animation, we went through many steps. First, we had to chose which fable we would animate, then we had to comprise a script in order to bring our animation to life. Then, we had to also write an alternate ending (an ending different from the original, so if the viewer chooses a different choice, it will happen instead). Next, in order to further plan our animation, we transferred our scripts and characters onto a website called StoryboardThat. 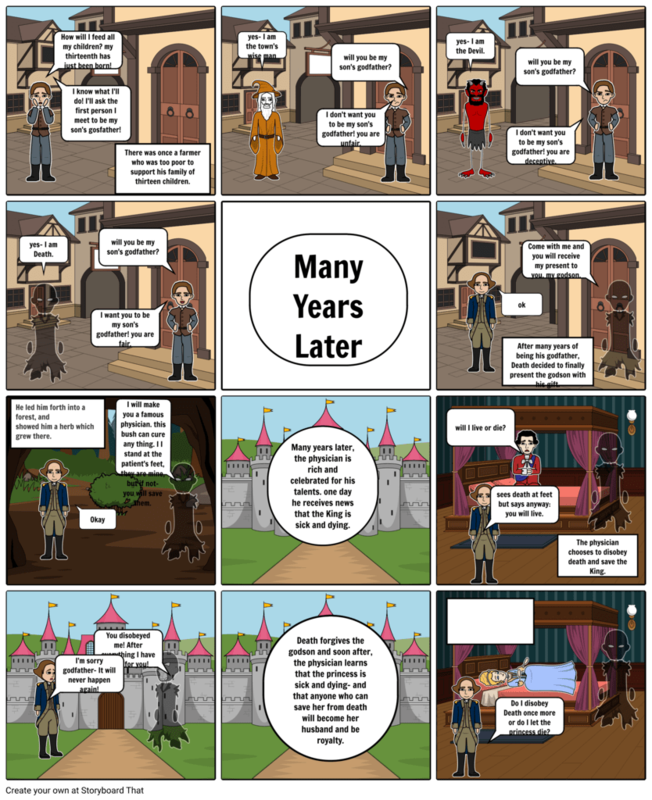 On StoryboardThat, we designed our characters and our backgrounds, then finally after all f that, we went to Scratch.mit.edu and began to animate our story. When animating in scratch, we used all the usual commands, however, this time in order to create that choice that the viewer has, we used the command “If…Then….Else”.This block allows for two possible outcomes based on wheat the viewer has chosen. Overall, this process was very fun, interesting, and educational. The fable I chose to adapt was “Godfather Death”, an unusual classic from none other that the Grimm Brothers. This story caught my eye because it has an intriguing concept, good characters, and an important message that is portrayed through the plot. 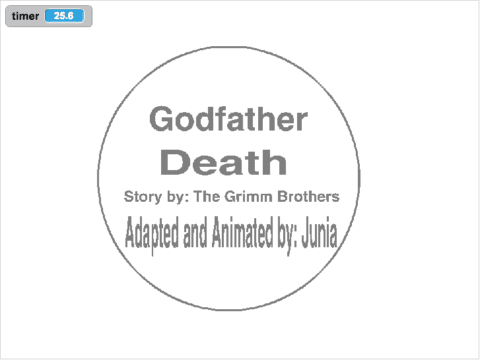 Godfather Death — Remixed by Junia is licensed under a Creative Commons Attribution-ShareAlike 4.0 International License.